СМИ о нас / Ancient naval ram found in Phanagoria reveals history of popular unrest in 63 B.C. Ancient naval ram found in Phanagoria reveals history of popular unrest in 63 B.C. The ram was part of a vessel used by Mithradates VI to combat an uprising. 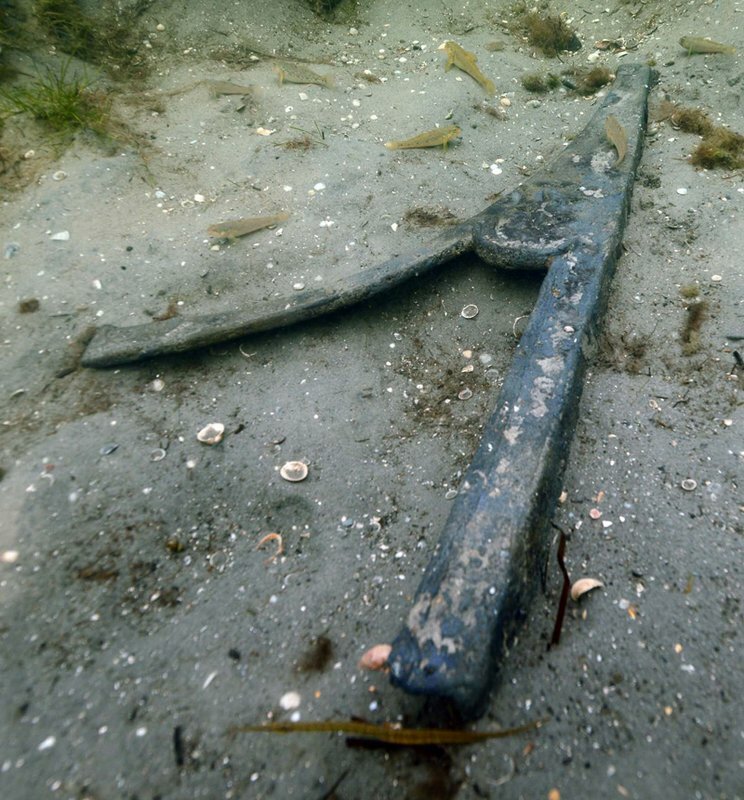 Anapa, July 25, 2014 – The Volnoe Delo Oleg Deripaska Foundation announces the discovery of an ancient naval ram used by the army of Mithradates VI of the Bosporan Kingdom to quell a popular uprising against him in Phanagoria in 63 B.C. One-meter long ram and presumably made of bronze, it has an engraving of Mithradates VI, the king of Pontus from 119 to 63 B.C. who was the most powerful king in Anatolia during the 1st century B.C. Often called Rome"s greatest enemy, he fought three wars against the Roman republic. The ram was found in the submerged part of Phanagoria, the largest Greek colony on the Taman peninsula, not far from the 15-meter-long ship that was previously unearthed in 2012. When the ship was first discovered, scientists suggested the ship was an ancient Byzantine merchant vessel. However, the newly-found ram dismisses the previous version and proves that the ship was a bireme, an ancient oared warship with two decks of oars that Mithradates used to quell unrest. The ship was later burned by the protesters in 63 B.C. The Roman historian Appian and the Greek historian Plutarch mentioned a citywide uprising at Phanagoria in 63 B.C. that culminated with the incineration of a huge public building and murder of Mithradates’s children and a wife, Hypsikratia. However, there was no material proof of these events until 2006. 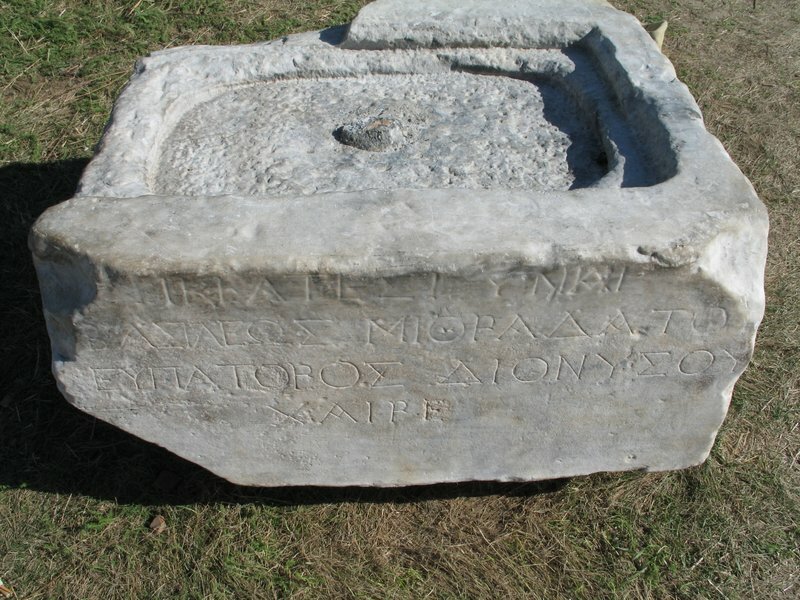 In 2006, scientists involved in the Phanagorian archeological expedition, found a marble gravestone inscribed with an epitaph to "Hypsikrates, wife of Mithradates VI." In his essays Plutarch referred to Hypsikratia as a woman "who on all occasions showed the spirit of a man and desperate courage; and accordingly the king Mithradates VI used to call her Hypsikrates [the male form of Hypsikratia]." The Archaeological Institute of America named this find one of the ten most exciting discoveries in 2009. Thus the ship’s ram continues the series of new discoveries that shed light on the history of the Phanagoria uprising and seemlessly match the historical narratives. Scientists started to explore Phanagoria in the 18th century, when it became an essential part of the Russian Empire. The exploration’s active phase, however, began just several years ago, which means archaeologists and historians are almost certain to find more artifacts and information related to Phanagoria, an area that has been something of a bridge between the East and the West for 1,500 years. 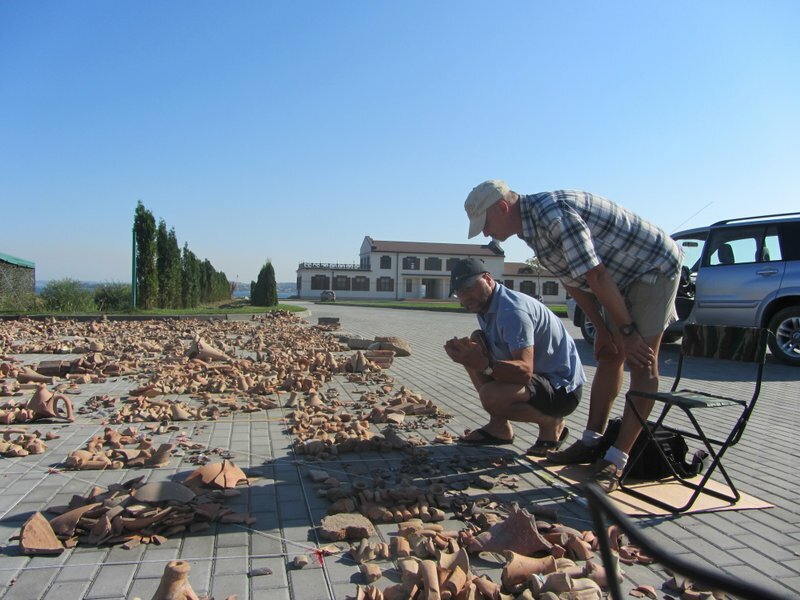 Volnoe Delo Foundation, one of Russia’s biggest privately-held charity funds, run by businessman and industrialist Oleg Deripaska, has supported research activities in the 2550-year-old city of Phanagoria since 2004. The Foundation has allocated over million to Phanagoria fieldwork over the past 10 years. 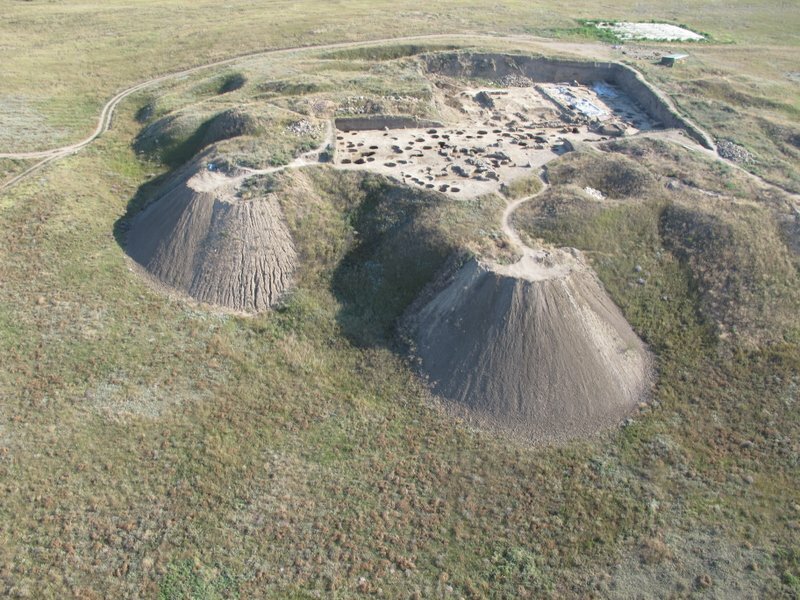 Now Phanagoria is one of the best equipped archeological expeditions in Russia, with its own scientific and cultural center, up-to-date equipment for above-ground and underwater excavation and diverse team of specialists involved in the fieldwork. Among the recent discoveries made at Phanagoria are remains of a palace of Mithradates VI dated the 1st century B.C., an ancient tomb with a stepped ceiling, the oldest temple unearthed on the Russian territory dating back to the 5th century B.C. and a number of submerged objects, e.g., the ancient city’s streets covered with sand, Phanagoria’s port structures, and ship debris. The excavations cover several areas, including the 2,500-square-metre acropolis at the centre of the ancient city, the eastern necropolis, an ancient cemetery that served as a burial place from the very founding of the city, and a submerged part of the city. What makes the expedition unique is the mix of diversified specialists working together. Apart from archeologists and historians, there are anthropologists, soil scientists, paleozoologists, numismatists and other researchers. A complex approach to the study of Phanagoria’s cultural relics helps to restore the residents’ way of living, religious beliefs, economic cooperation, as well as their roles in military conflicts. Phanagoria is one of the main antiquity monuments on Russian soil. Founded in the mid-sixth century BC by Greek colonists, the city has long been one of the two capitals of the Bosporan Kingdom, an ancient state located in eastern Crimea and the Taman Peninsula. Phanagoria was the major economic and cultural center of the Black Sea region, one of the biggest Greek cities, the first capital of Great Bulgaria, and one of the main cities of Khazar Kaganate. It is also one of the ancient centers of Christianity. Saint Andrew was believed to preach in Phanagoria. The city boasts the largest Jewish community in the Black Sea region: the first synagogue in Russia was built in Phanagoria in the 16th century AD. In the 9-10th centuries the residents abandoned the city for reasons still unknown. Phanagoria is surrounded by Russia’s largest necropolis covering an area of over 300 hectares. The total volume of the cultural layers is 2.5 million cubic meters of soil; the layer’s depth is up to seven meters. No single building has been erected in the city since ancient times, which has helped preserve the ruins and the historical artifacts. Regular archeological expeditions have been conducted in Phanagoria since late 1930s. As of now, only two percent of the city’s territory has been studied. Phanagoria is located in the Temryuksky District in the Krasnodar region. Oleg Deripaska’s Volnoe Delo Foundation (www.volnoe-delo.ru) is one of the largest charity organizations and was founded by the Russian industrialist and businessman, Oleg Deripaska. The Foundation supports a wide range of initiatives, with a particular focus on Russian education and science. It helps to support the country’s cultural and historic heritage, contributes to the preservation of the spiritual values, and assists healthcare projects and solves crucial social problems. Over the course of its work, the Foundation has found recipients among 86,000 schoolchildren, 4,000 teachers, 8,000 students, 4,000 academics and 1,100 educational, scientific, cultural, healthcare, sport, religious and other institutions. Source: Adapted and edited from a Volnoe Delo Oleg Deripaska Foundation press release.